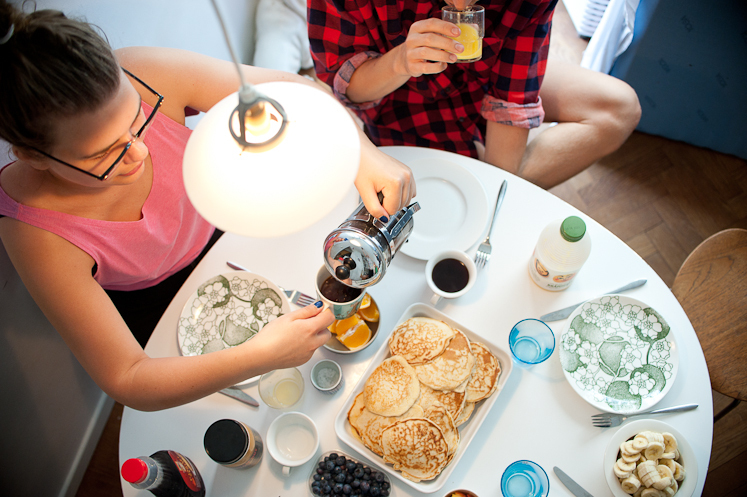 Andrea and Eddie sure know how to throw a pancake breakfast party. And it wasn't even the weekend, just a rainy Wednesday. Andrea och Eddie vet hur man ställer till med pannkaks-frukost-fest. Och det var inte ens helg, bara en regning onsdag. åh, jösses vad gott det ser ut. wish i would sit at that table, right now. Beautiful photos. I love these breakfast. Could you give me the recipe for these pancakes? Jag vill bo i dina bilder! 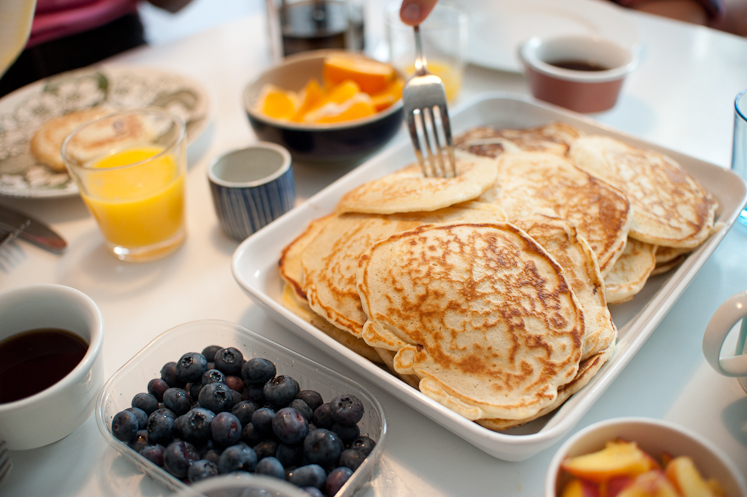 a pancake party sounds like an amazing idea. 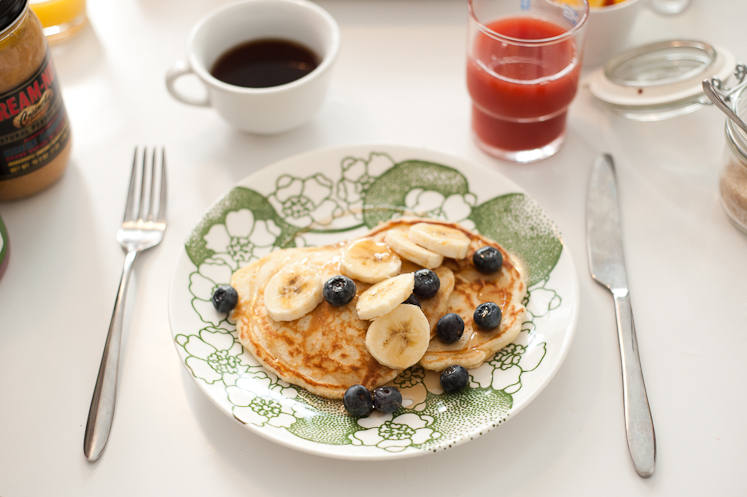 I have been craving pancakes like crazy lately, this might just be the solution.